The adult human body has 360 joints, any of which can cause pain at some point. 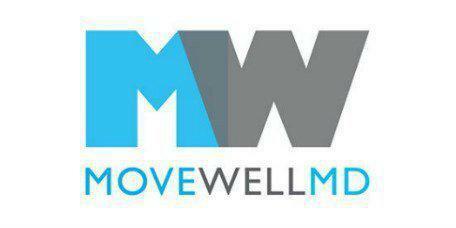 The professional staff at Move Well MD in lower Manhattan, New York and New York's financial district will diagnose problems with the joints and then work with patients to develop strategies that relieve pain while improving their mobility and quality of life. The combination of physical rehab and innovative treatment options means patients can start doing all those things they've been avoiding due to chronic joint pain. Joints are complex structures, so there are a number of things that can lead to inflammation and pain. Joints consist of more than just intersecting bone, too. There is cartilage, ligaments, tendons and muscles that support the bone and they are often the source of the pain. Joint pain may even be a symptom of a serious condition such as cancer or leukemia. It may also indicate a previously undiagnosed injury. Does all joint pain require medical treatment? Joints that freeze up or feel unstable need treatment as well. Other symptoms, like a fever or general malaise, along with joint pain may indicate a more serious underlying condition and shouldn't be ignored. If in doubt, it is always best to seek medical care to avoid a serious injury or prolonged recovery period. What are some treatment options for joint pain relief? The treatment plan will depend on a number of factors including which joint is causing the pain and why. Any appointment for joint pain at Move Well MD will start with an evaluation to determine the potential cause. Dr. Gruen will also go over things like family history and daily habits looking for potential problems. Most treatments could involve chiropractic care, innovative healing options such as stem cell therapy and physical therapy. They might require making some lifestyle changes to accommodate the injury and prevent further damage to the joint. Are there risk factors for joint pain? Joint pain is a broad topic, so there are many different possible risk factors. That's why seeing someone to get a proper diagnosis and care plan is so important, especially for patients with chronic pain.